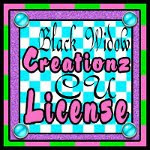 Showing off the Facebook cover and avatar I made for my friend Crystal of Crystal's Creations! I used her new kit called Fairy Princess. It's such an awesome kit!